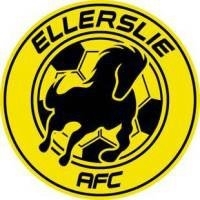 Ellerslie AFC’s history goes back to the original founding of the Auckland Football Association in 1887, whereby it was one of the seven clubs to participate in the Association’s inaugural competition. The Club continued into the second season of organised soccer in Auckland, but, like the playing of the game at that time, did not continue past that point. Auckland soccer had slipped into a period of recess, due to the lack of suitable grounds, and Ellerslie became an early victim of the break in competition. Come 1953 and the Club was reformed through the efforts of a number of families. Enough members were gathered to form two senior teams in that first season, with games played at the Michaels Avenue ground, while training sessions took place at Ellerslie Domain, courtesy of the local rugby league club’s generosity in lending the club the land for this purpose. Training sessions on a Thursday evening consisted of a full-scale match between the previous Saturday’s first team and reserves, an encounter from which the coming Saturday’s line-ups were selected by the coaches and the committee members. That first year the club's First Team played in the Auckland 2nd A Grade competition and while the results were not great the highlights were a narrow 2-0 loss to the eventual champions Onehunga and of course our first win over British United 1-0 - we do have a list of as many results as we could find - click here. At the time the top grade in Auckland was the Senior Grade with eight teams. The next grade was split into two - Senior A for promotion seeking clubs and Senior B for the reserve teams of clubs in the Senior grade. J Bouman; R Boulton, O Dahl; A C Robertson, J Richards, S Major; G Robson, P Cobbett, G Lee, K Allen, J Gommers. Reserve J Ayers. The final score was 3-2 to Ellerslie AFC. The original clubrooms were built very shortly after the Club was reformed, in an area of Michaels Ave Reserve that now houses part of our recently completed artificial playing fields. The current clubroom structure, situated on the first floor of the adjacent YMCA Complex, was erected in 1979. The Club has enjoyed its fair share of Premier League success over the years, winning a number of local competitions, culminating in its promotion, in 1993, to the Country’s highest competition at the time, the Super Club Competition. 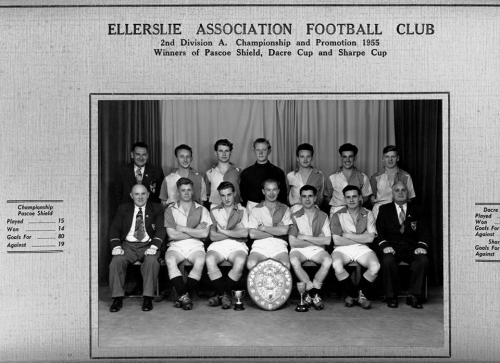 In addition, Ellerslie has reached the last sixteen of the Chatham Cup four times since 1978. One of the outstanding features about Ellerslie is the loyalty of its members, both playing and non-playing. Indeed, the Club can point to three families in recent times who’ve given Ellerslie AFC outstanding service over the years. The Ritchies, the Woods, and the Poelmans have all been an integral part of the Club, and it is their dedication and others like them, who have moulded Ellerslie AFC into the open, friendly Club it is today. In essence, the Club is about inclusiveness and participation with a focus on a family orientated environment where friendships are started, and developed over extended periods of time. The Club prospers as a result of the huge amount of voluntary work undertaken by members in terms of coaching, administration, management of teams, and the myriad of other tasks necessary to keep a club of our size running smoothly. Having said that, with the Club now being the 5th largest in the AFF controlled region, with approximately 115 teams from midget to senior levels, the Club has had to “lift its game” in terms of offering some paid administration and coaching roles in order to deliver the quality of footballing experience that our members demand. The Club is established under one, recently adopted modern constitution, but operationally is run under two separate divisions, Senior and Junior/Youth. A Strategic Plan for the next four years has been put in place to assist with implementing/improving structures, systems and programmes in a sustainable manner, that will provide clearly defined pathways for our emerging player and coaching talent. A significant emphasis in this plan remains the provision of new facilities. To complement our world class artificial field and match standard lighting we are currently in the process of having additional playing surface improvements on the Lower Reserve fields, and the construction of a new Amenities Block and Clubrooms and some point following the field upgrade. We invite you to come and join with us as we seek to participate, succeed and support across the playing fields of Auckland.